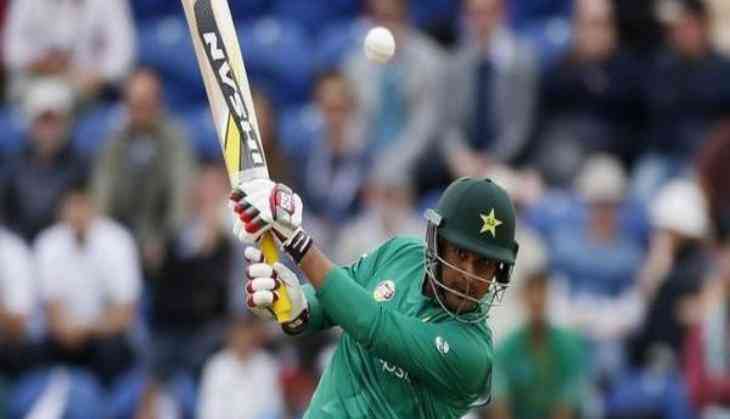 Left-handed batsman Sharjeel Khan was on Wednesday handed over a five-year ban by Pakistan Cricket Board (PCB)-appointed Anti-Corruption Unit in connection with the Pakistan Super League (PSL) spot-fixing case. Sharjeel was facing five major charges of breaches of the PCB's anti-corruption code and was found guilty for all five. According to the Dawn, he will not be able to play any form of cricket for at least 30 months, after which he may be allowed to play domestic cricket until the completion of the ban - subject to the terms and conditions set by the PCB. The spot-fixing allegation relates to a match between Sharjeel's team Islamabad United and Peshawar Zalmi in Dubai in February during the second edition of the PSL which the left-handed batsman scored a single off four deliveries including two dot balls. On March 6, a three-member tribunal was formed by the PCB to investigate the spot-fixing case allegedly involving Sharjeel and Khalid Latif. Asghat Haider headed the three-member tribunal, which included former PCB Chairman Lt Gen (R) Tauqir Zia and ex-Test cricketer Waseem Bari. Sharjeel, Khalid Latif and Shahzaib Hasan are facing charges for a number of breaches of the anti-corruption code of the PCB while playing for their respective teams in the PSL. Mohammad Irfan and Mohammad Nawaz, who was also accused, have already received their punishments and have been suspended for failing to report offers to fix. Nasir Jamshed is another player involved in the scandal.